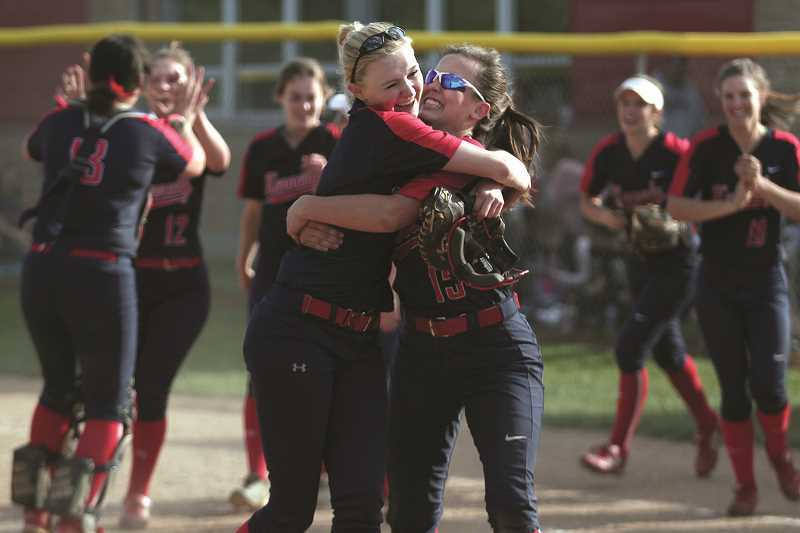 The third time's the charm for the Kennedy softball program. The No. 2 Trojans (23-4, 17-1 Special District 2) defeated the No. 3 Central Linn Cobras (23-3, 16-2 SD2) 10-1 Tuesday at home in the semifinals of the 2018 2A/1A State Playoffs to advance to the state championship game for the first time since 2006. 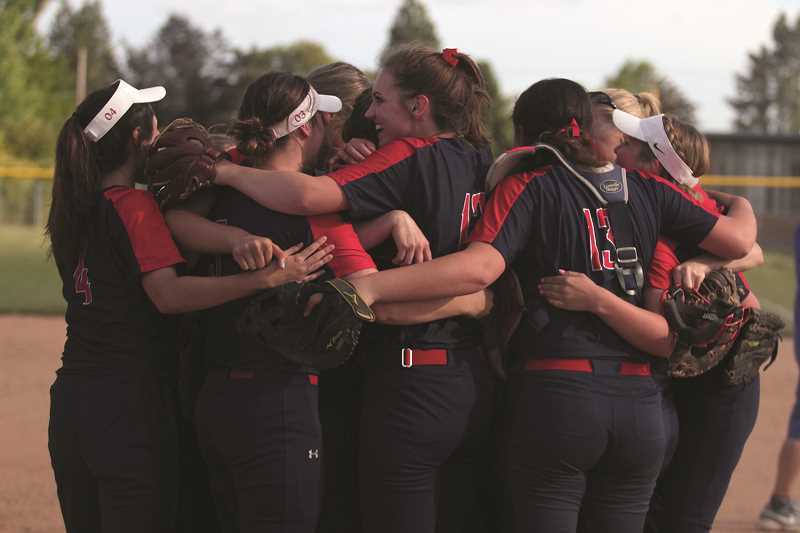 It was the third consecutive attempt for the Kennedy softball team to qualify for the finals after falling in the semifinals in 2016 and 2017. It was also the third win of the season for the Trojans over their league rivals from Central Linn, who finished the year with their only losses coming at Kennedy High School. The Cobras had beaten Kennedy 13-2 early in the season as part of a 16-0 start that had Central Linn ranked No. 1 in the state at the time. But the Trojans ended that streak with a 3-2 at home on April 30 and added a 7-1 home victory two weeks later to clinch their third consecutive conference title. Tuesday's win in the semifinals was the Trojans' biggest victory yet over the Cobras, but the game started out much closer, with both teams playing relatively evenly through the first two innings of play. After the Cobras were unable to take advantage of getting two runners on base in the second inning, they struck pay dirt in the third. With runners on second and third, sophomore Jazmine Compton hit a grounder to Kennedy senior pitcher Tressa Riedman, who got Compton out at first, allowing senior Makenna Northern to score on the play to give the Cobras a 1-0 lead. The Trojans got out of the inning without incurring any additional damage and struck back in the bottom of the frame when Riedman hit a triple to the gap in right field, allowing freshman teammate Elise Suing to score from first. Kennedy was unable to score Riedman from third, but the momentum had swung strongly in favor of the Trojans, who didn't allow another Central Linn base runner for the remainder of the game. Kennedy plated two more runs in the bottom of the fourth, one more in the fifth and went on an offensive surge in the sixth, scoring six runs with two outs to put the game out of reach. In total, the Trojans finished the game with 13 hits, as every member of the starting lineup was able to get on base at least once. Senior Hannah Arritola led the team with four RBIs, going 2-for-4 with a triple and a run scored. Riedman led the team in hits, going 3-for-4 with a double, a triple and two RBIs as well. Freshman Hailey Arritola went 2-for-3 with a team-high two runs scored. On the mound, Riedman finished the game with seven strikeouts, two hits, two walks and one run allowed. The Trojans now move on to the 2A/1A State Championship game, which will be hosted against the No. 4 Pilot Rock/Nixyaawii Rockets (23-3, 10-2 Special District 6). 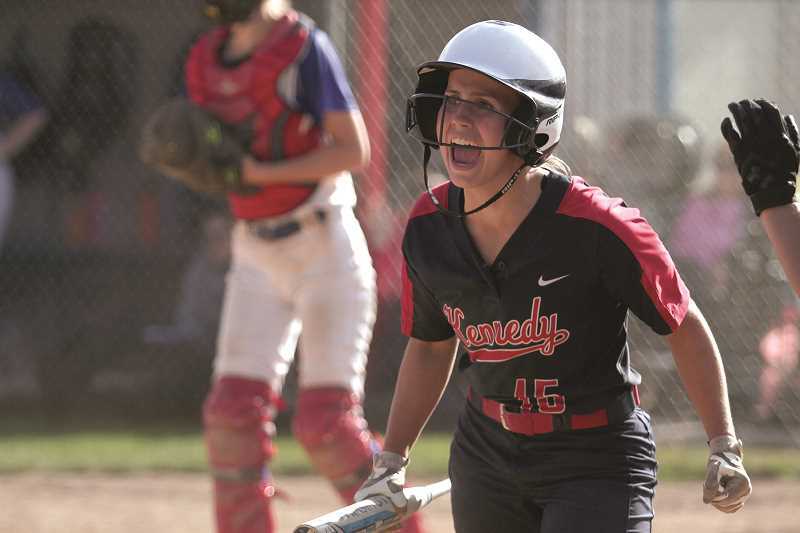 Kennedy will be attempting to win its first state softball championship in program history. The Trojans' only other title attempt came in 2006 when they lost 3-2 to the Waldport Irish. Meanwhile, Pilot Rock is in the midst of its best stretch in program history, making its fourth consecutive title appearance. The Rockets' current streak began in 2015, then followed with another win in 2016, beating the Trojans in the semifinals to get there. They looked to make it three-straight last year, but were denied in the finals by the North Douglas Warriors. The Rockets also previously won in 2010. The 2018 2A/1A State Softball Championship will be held at the Oregon State University Softball Complex on Friday at 1 p.m.